Budihost being an official technology partner of Convest 2005. This year, 2005, Budihost Web Hosting & Services will be the Technology Partner of IIUM Convocation Fiesta 2005. We will be delivering content management of the official website. There’s some problem with the website, where we have to use IIUM server to host the website. The new policy this year disalow them to take other hosting provider to host their official website. You can have a visit to their official website, http://www.iiu.edu.my/convest/. The website is still under development. Need to have more modification on the design and features. 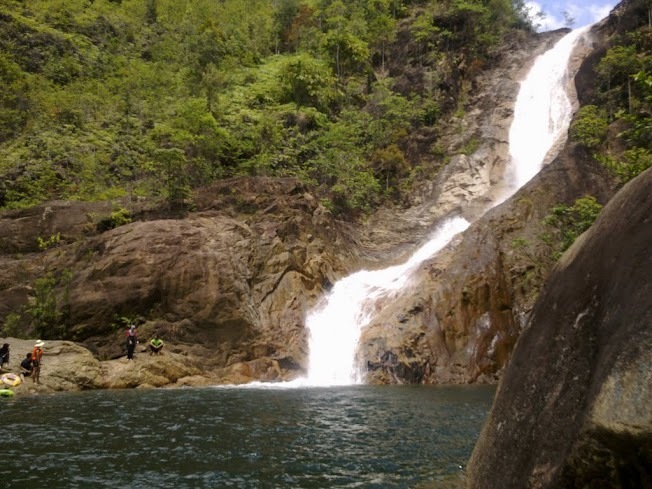 Last week was a great weekend, i went to Bekelah waterfall, in Maran, Pahang. Quite popular place for picnic and recreational activities, but its just me who didn’t noticed about that. The program was organized by ARC (Adventure Club) of International Islamic University. The program just 2 days, and 2 nights. We based at a point, where we have to walk around 2 hours to reach there. The route was quite difficult at the other end, where we have to walk through rocks, just besides the big streams of water. If we fall into the water with the heavy bags, I couldn’t imagine what to do. The place was very nice, was very very very nice.. 🙂 You should go there once in your life time. The camping site is quite small, its really tight enough for 80, our group. But the river have a big area to swim and having any activities like water confidence, river crossing and flyisng fox. I’ll post some pictures after this, not ready yet. Next week insya-Allah I’ll be there again, with ARC from IIUM matriculation center. 🙂 wanna join me? 3. Lastly right-click anywhere and select New-> Integer. Name it “nglayout.initialpaint.delay” and set its value to “0“. 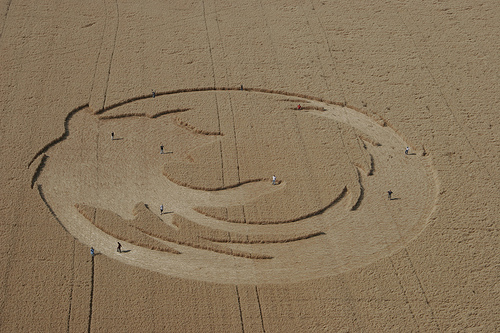 This value is the amount of time the browser waits before it acts on information it recieves. Automatic update your exploit list! This is a tools that helps us to get the latest exploit tree on our harddrive. With this tool, that’s available both on Windows and Linux platform, you can easily update you exploit tree in your own harddisk with just a few command line. It utilize CVS, so make sure its allowed on your network. My experience updating my exploit tree, Anti-virus will detect some of the exploit file transfered. It will immediately broke the the updating process. What I do is, I stop anti-virus application first, and updating all the list. After the updating completed, I run anti-virus on the exploit tree folder. All detected “hack tool” will be examined back, if it is for hack tool and cannot run by itself, i will take it out from the quarantined list. 30 June 2005 to 2 July 2005, I’ve been to Bukit Merah akeTown Resort, for a family day program. The trip was enjoyable, gathering many families, and most important thing is, so many babies! 🙂 My father was an advisor for that company, a engineering based company, in Oil and gas industry. It was a nice place, resort, theme park, shop lots, orang utan island, eco park. The first thing I did when I reach there is searchig for available wireless network, but none. There was a cyber cafe over there, luckily I can have access to internet, keep in touch with my friends and customers. Nowadays, more and more people start to make thier own personal website. The human nature, wants to be acknowledge, to be known, the feeling of belongings, inclined people to have thier own webiste. More technology have been invented to helps people to have thier own website. Free website hosting have included file manager to make website management much more easier. Today, blogging come accross, where user can have their own website even without knowing about all HTML tags. 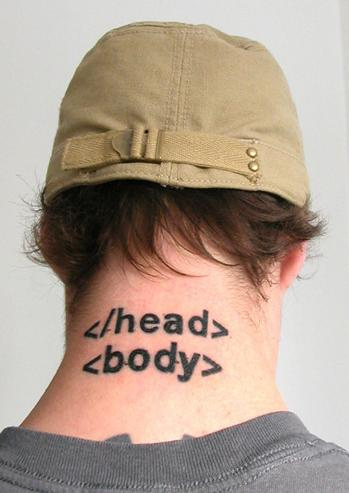 But still, we should not neglect the basic knowledge of HTML. Inside here I include some basic HTMl tag for you to be familiar with. The tag is pretty simple, you can understant it as you can read it. It specify the height and width of the image. There is another arguments that added to the TAG, that is target. Target argument is to define the linked documet to be opened in which frame or browser. In this case, _blank is to tell the browser to open the document in a new window. If you’re implementing frame in your website, target will tell your browser to open the document in which frame. I think this is enough for everyone for having their own website, with image and few pages. Another method is by using Blog. You can register for free, and have your own page easily, even without even knowing HTML tag. Example of free blogging service are BlogDrive.Biz and MyBlogArea.com. I have installed MRTG on the server.. So that i can monitor the network interface for transfer statistic inward and outbound the server. MRTG (Multi Router Traffic Grapher). A PHP scripts that will monitor the network interface,log it, and view the statistic with a graphical graph. Its nice. It will be very beneficial for system admin. 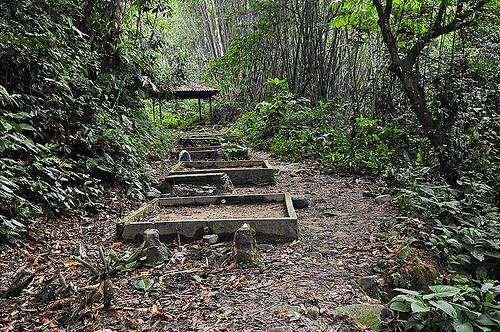 A trip to Gunung Tebu – alot to learn..
Well, this might be the 15th time i have been there.. This time it wil be a program with my father’s collegue. The nice trip about this program is about the theme, to enhance thier business activity. 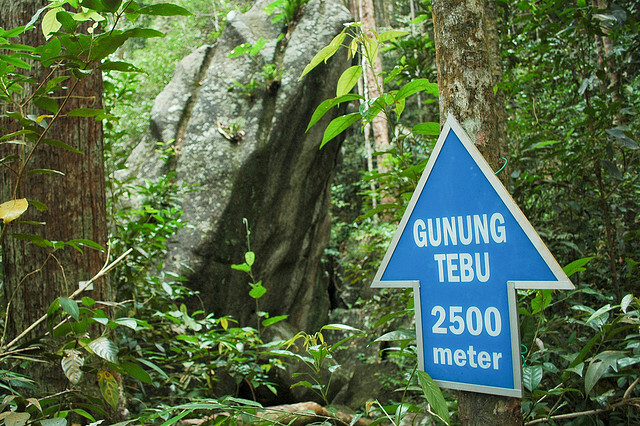 Some will wonder, what Gunung Tebu can help. Some will says, mountain hiking activity itself can help improve one’s self motivation. Some will says, the air of Gunung Tebu itself will help you to improve yourself, in term of mind activity, mind concentration and self motivation. Thats why we have been there since around 12 years ago. In this trip, we were trained and explore our mind power to utilised within our daily life. The training is not for us to walk on fire, or puling a bus with our teeth, but how we could improve our business. last week I have been to Gunung Nuang.. I friend come to me and ask me to guide a group to Gunung Nuang. Actually i really reluctant to go, with a lot of works with Budihost, i have no camping gear with me (all with my younger sister (she bring to Gunung Tahan the previous month), no shoe, no bag, and its been a long time since last expedition, and the next will be just a few days ahead. They need 2 person to be with them.. I ask all my friends to come with me, but most of them still have exams. At last only 2 person are available, and they are girls. Well, I can only have them. So, altogether we are 3, even they pay is just for 2 person. I dont mind about that. It also a chance me to go camping.. It was a really bad experience. I had pain at my leg along the way up to Lolo camp on the first day. Then i remember, it was my first expedition after i had an accident in March. After around 1 hour hiking, the pain gone. But still, it was really exhausting. This time I just be a guide for them. Not much activity were organized. This was a time where i can see other people in another sector. They are staff at an agency i n Prudential Insurance. They are a recreation club within the agency. Ya, i learned something in insurance business. Thank for dropping in my new site. Well, I’m trying to start this new blog, hope this can be a medium for me to keep in touch and get connected with all my friends. Besides, hope I can express all what digesting inside my head. I want to share my burden, and happines, thiking of daily life situation, for us as a good citizen, a good student, a good famiy member, a good business man, and a good people in any way of living. I hope to get responds from all visitors. I might be right, I might be wrong. Please correct me if Iâ€™m wrong. Nobody is perfect.